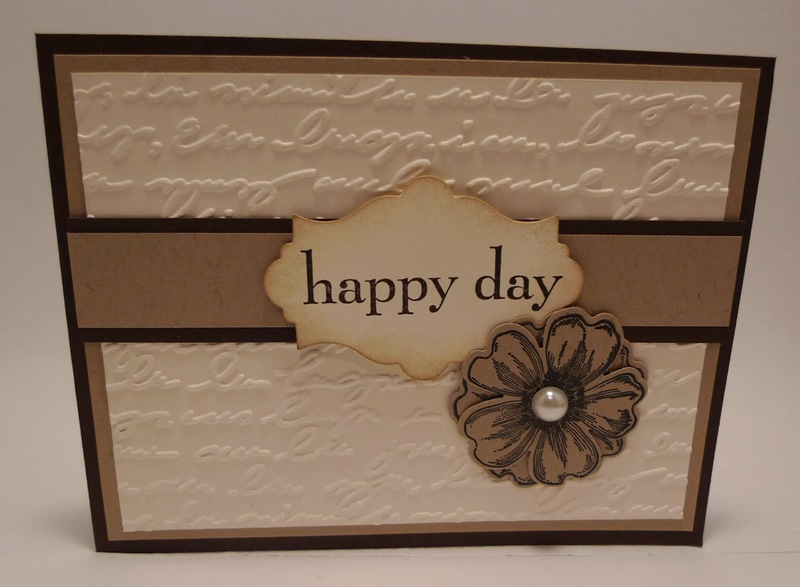 Karina's Kreations: Happy Day Card! 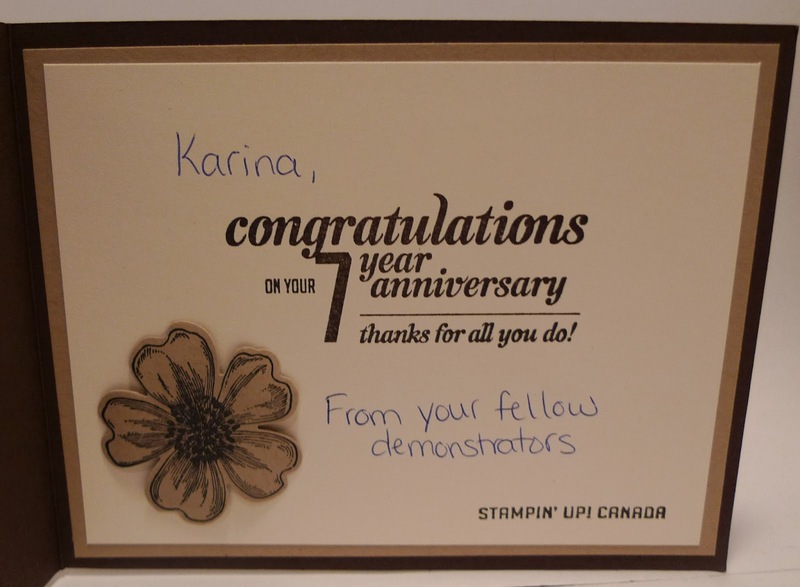 1) Look what I received from the Canadian Stampin'Up office. 2) Say it Your Way Personalized Stamps only $29.95 #132852. These are great for weddings, personalized sayings, address labels, and some many more ideas!!! Coordinates with the 1-3/8" Circle Punch (item 119860). Clear Block B (item 117147) recommended. 3) These are the Tuesday deals of the week! Pay close attention to the canvas creations sheets on sale for $4.13 . You can use them with the Spiral flower die!